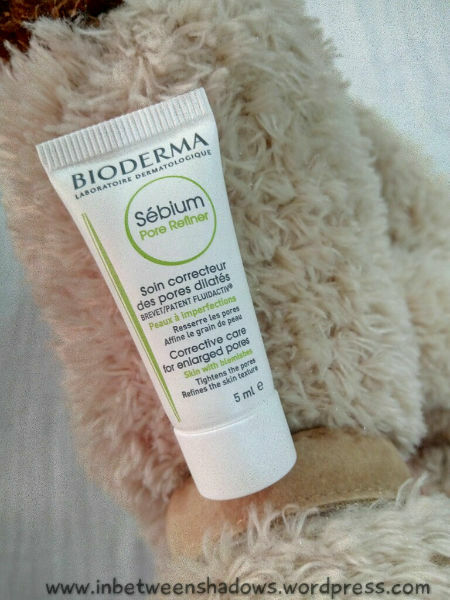 This month’s BDJ box contains products from Bioderma plus a treat. I don’t know anything about the brand and I haven’t really tried any of their skin care products but I’m still having mixed feelings about this month’s box. When I got the package, I noticed how light the box was and it got me worried sick. When I opened it, I understood why it was that light. 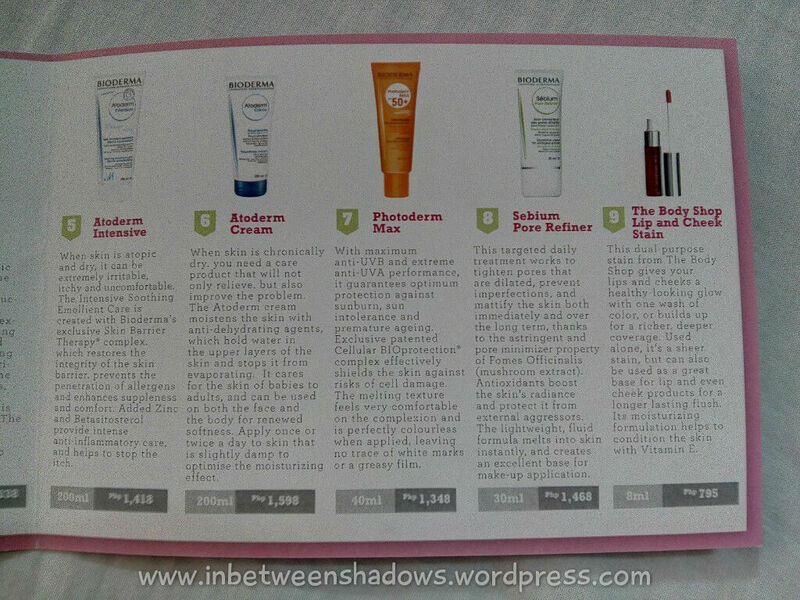 Except for one product (not a Bioderma product), the rest are already in sample sizes. I haven’t subscribed to BDJ for some months now so I was really hoping to get something more. 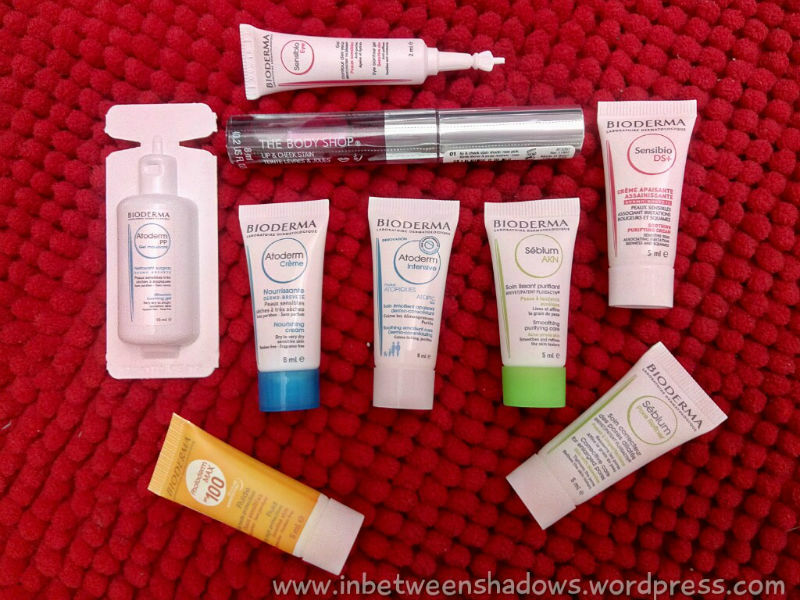 The Bioderma products are not cheap at all. 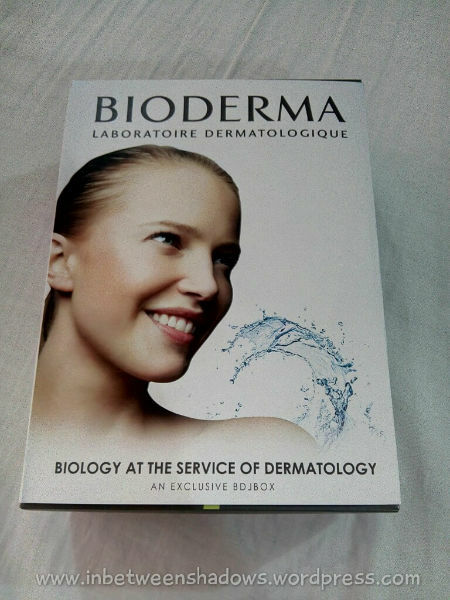 The curator card shows that the full-size version costs more than a thousand so I get why they can’t include at least one full-size item inside the box but it would have been nice to get one Bioderma product that is more than 10ml. If it had been makeup samples, I would have been okay with it since I don’t need to use a makeup product several times for me to tell if the product is good or not. 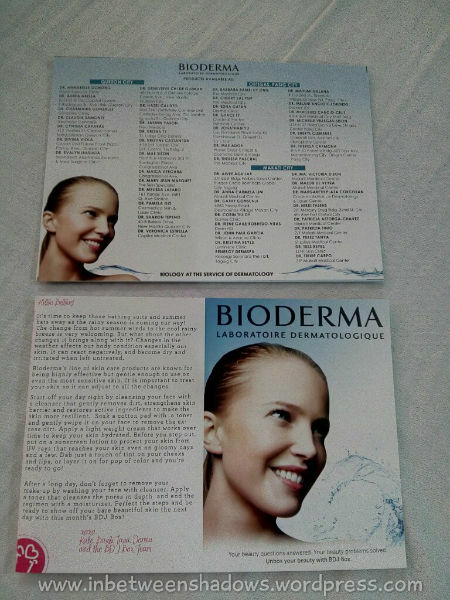 In the case of Bioderma’s skin care products, I worry that the samples won’t be enough for me to know if it’s effective or not. That’s the problem. Oh well! Nothing else to do but to make the most out of these tiny tubes. This gel is used on the face and other imperfection-prone areas of the body, such as the chest and the back. 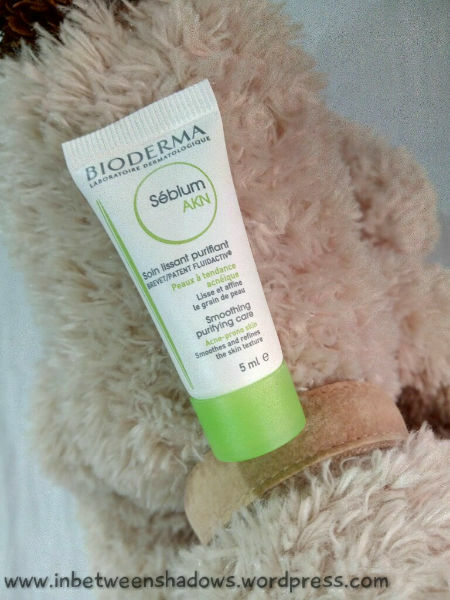 The non-comedogenic wash reduces sebum secretion with its patented Fluidactiv sebum-correcting complex, and ensures that the sebum is of better quality to reduce the risk of breakouts. This Contour Gel will help restore the youthful brightness of the sensitive eye area. The lightweight hydrating gel works to decongest this most delicate area of our skin, reducing puffiness and smoothing lines with its rigorously selective active ingredients. The two products above are better off to be used at home since both don’t come with a cap and breaking those open will probably just leave them open for good. This is an intensely calming moisturizer with a lightweight texture. 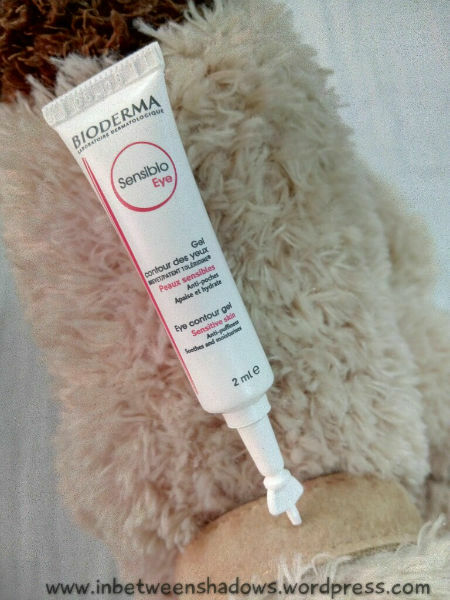 Designed for those who have sebhorrhoeic dermatitis, its soothing formula works to relieve high colour and smooth the skin using a dual anti-fungal and anti-inflammatory action. It uses a targeted action to boost the skin’s healing process, while the patented natural D.A.F. complex improves the skin’s tolerance threshold. This non-comedogenic treatment cleanses the pores in depth while slowing the overproduction of sebum. 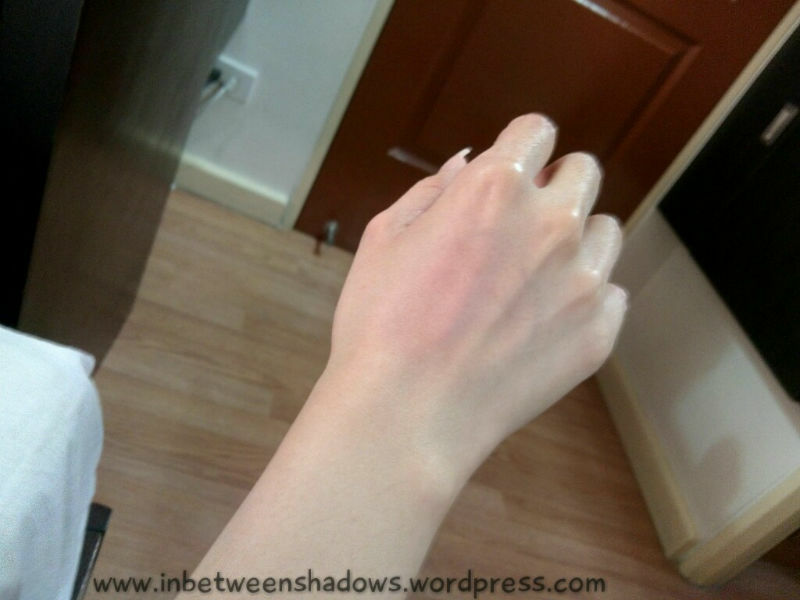 It also smoothes the skin’s texture over time, ensuring that it looks clear and more uniform. Soothing ingredients reduce irritation and diminish the appearance of redness, and hydrating agents to make sure the skin is comfortable and soft. 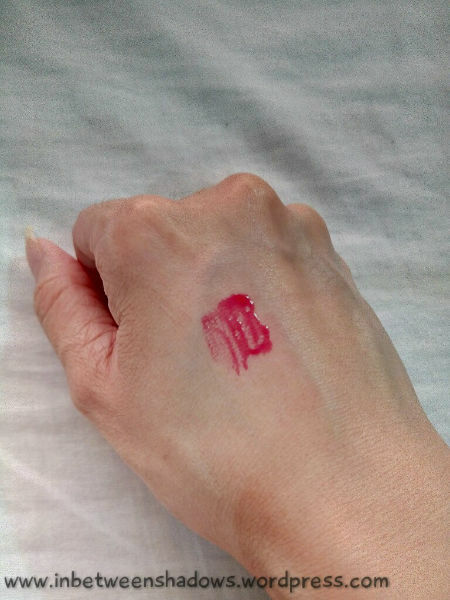 This product can be used as a makeup base. When skin is atopic and dry, it can be extremely irritable, itchy and uncomfortable. 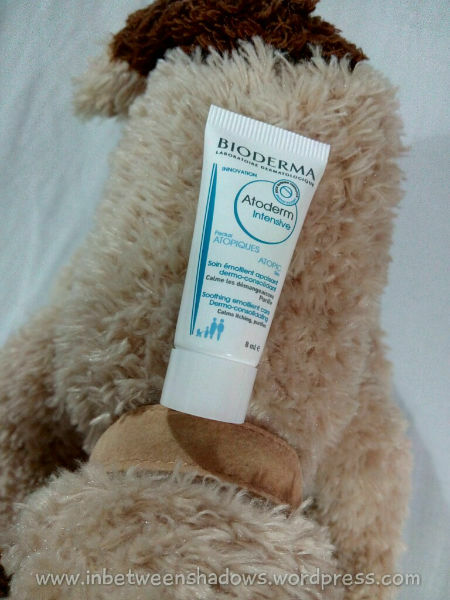 The Intensive Soothing Emollient Care is created with Bioderma’s exclusive Skin Barrier Therapy complex, which restores the integrity of the skin barrier, prevents the penetration of allergens and enhances suppleness and comfort. Added Zinc and Betasitosterol provide intense anti-inflammatory care, and helps to stop the itch. 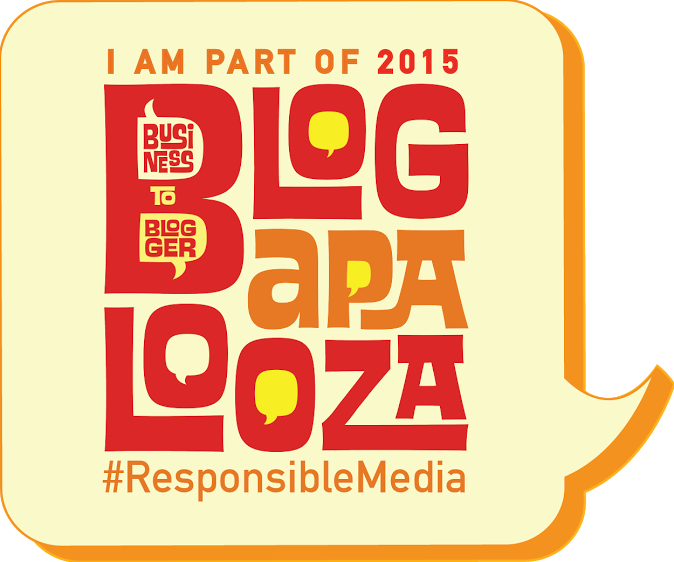 This is the one from the bunch of samples that I am most interested to use since it claims to help stop the itch. Once in a while, the sole of my left foot gets way too itchy so hopefully, this will help. 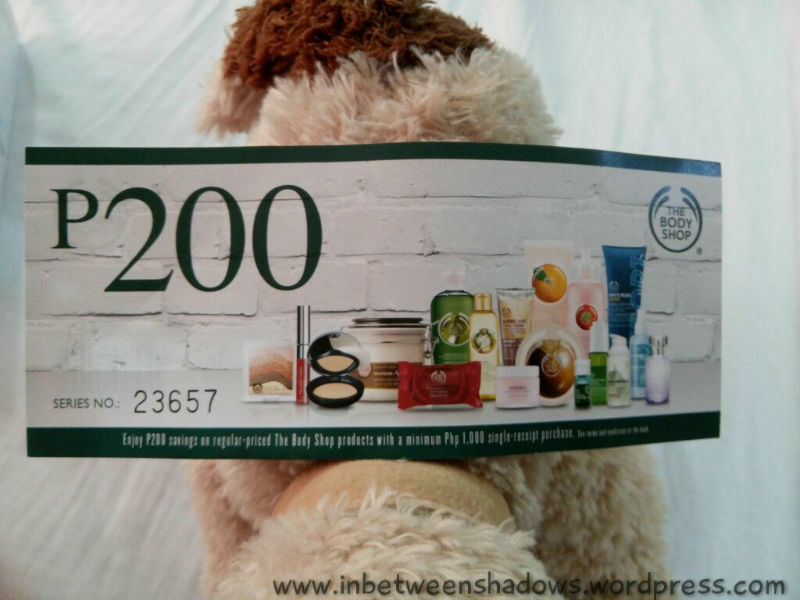 By the way, this product can be used on both the face and body after cleansing. When skin is chronically dry, you need a care product that will not only relieve, but also improve the problem. 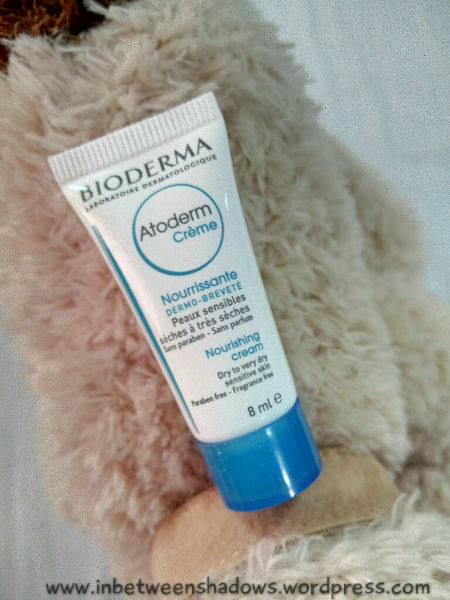 The Atoderm cream moistens the skin with anti-dehydrating agents, which hold water in the upper layers of the skin and stops it from evaporating. 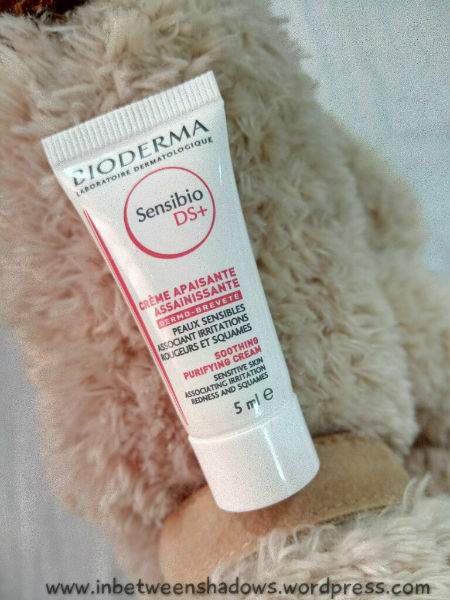 It cares for the skin of babies to adults, and can be used on both the face and the body for renewed softness. The product can be applied once or twice a day to skin that is slightly damp to optimize the moisturizing effect. With maximum anti-UVB and extreme anti-UVA performance, it guarantees optimum protection against sunburn, sun intolerance and premature ageing. Exclusive patented Cellular BIOprotection complex effectively shields the skin against risks of cell damage. Hmm… the sample size is just 5ml. If I use this today to protect my entire body from the sun, I wonder if the tube would be empty by the time I get to my feet. This targeted daily treatment works to tighten pores that are dilated, prevent imperfections, and mattify the skin both immediately and over the long term, thanks to the astringent and pore minimizer property of Fomes Officinalis (mushroom extract). Antioxidants boost the skin’s radiance and protect it from external aggressors. 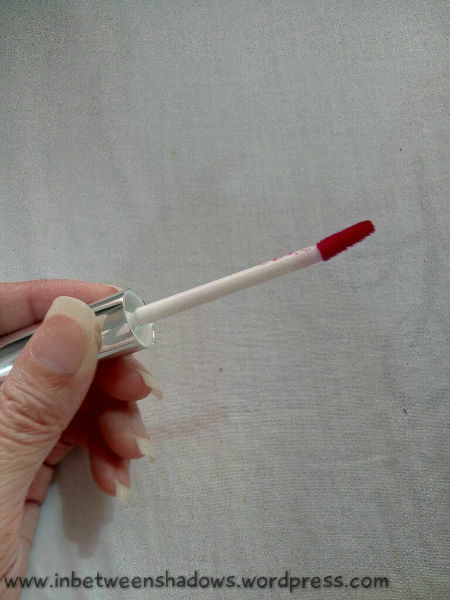 This product can be used as an excellent base for makeup application. 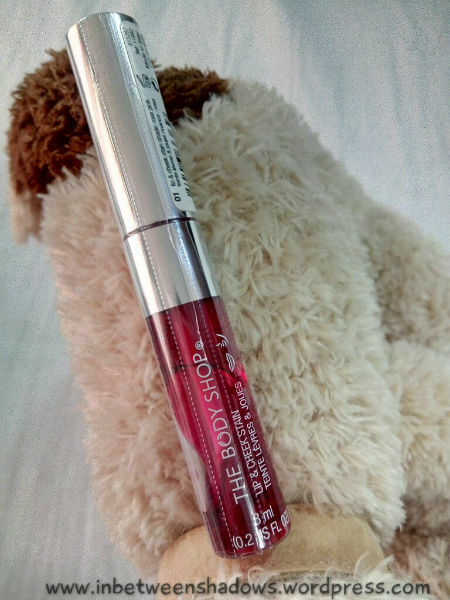 The only lip and cheek stain that I have tried was the one from Benefit and so I’m very happy to get this one. 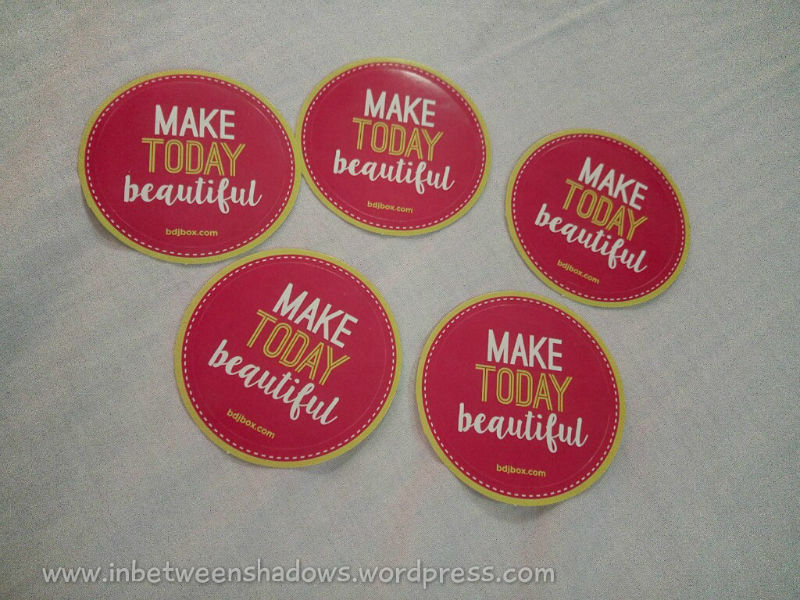 I mean… I’m really really happy to get this because if it wasn’t for this extra product, I would have considered this month’s beauty box as a waste of my money. 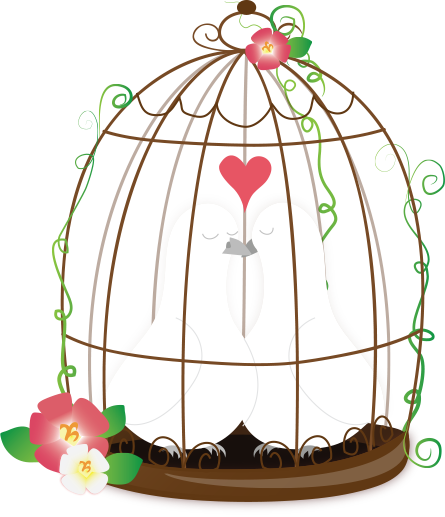 I tried this awhile ago and I love it. Unlike the lip and cheek stain from Benefit, this one does not dry too quickly – that means less pressure for us. This stain creates a nice light-and-natural-looking flush once you spread it out. 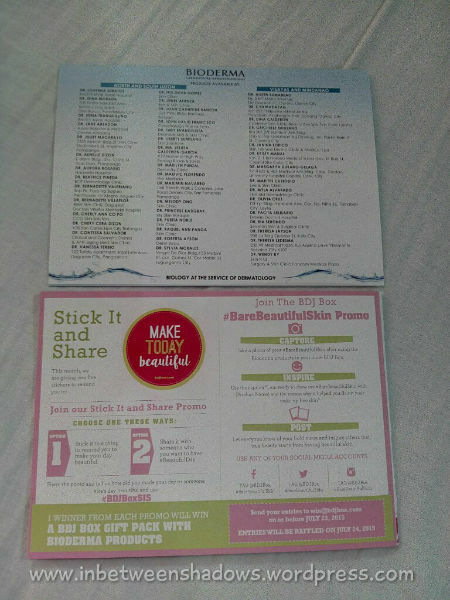 The beauty box also comes with a coupon from The Body Shop. 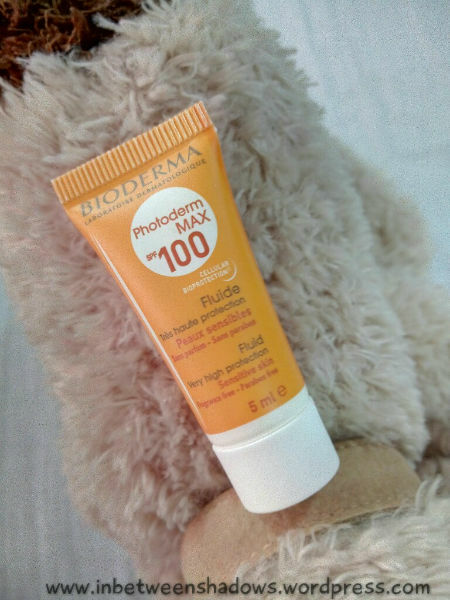 Since the full-size Bioderma products are expensive, the sample sizes I got, if included in the computation, would bring the total value of the box to Php1933.61 – that seems like a whole lot but because most of it are in sample sizes only, I’m still not very happy with it. The sample sizes are disappointing. It’s as if they threw in that lip and cheek tint, just so you can’t say they didn’t give you anything full-sized. 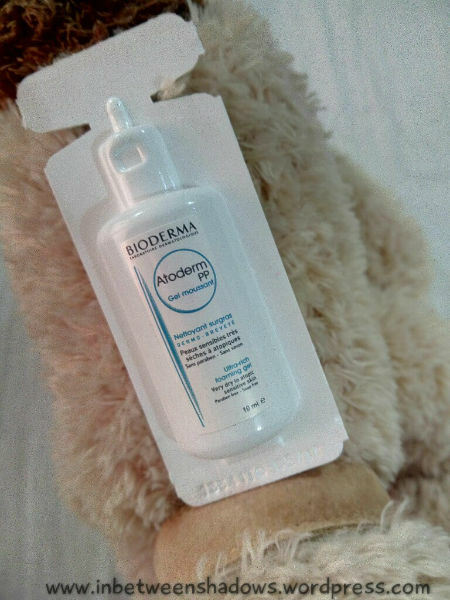 I actually want to try out Bioderma, but the box is already out of stock. *sigh* Even the elite boxes are all gone. I promised myself I would get at least one beauty box this year, but I don’t think it’s going to happen. 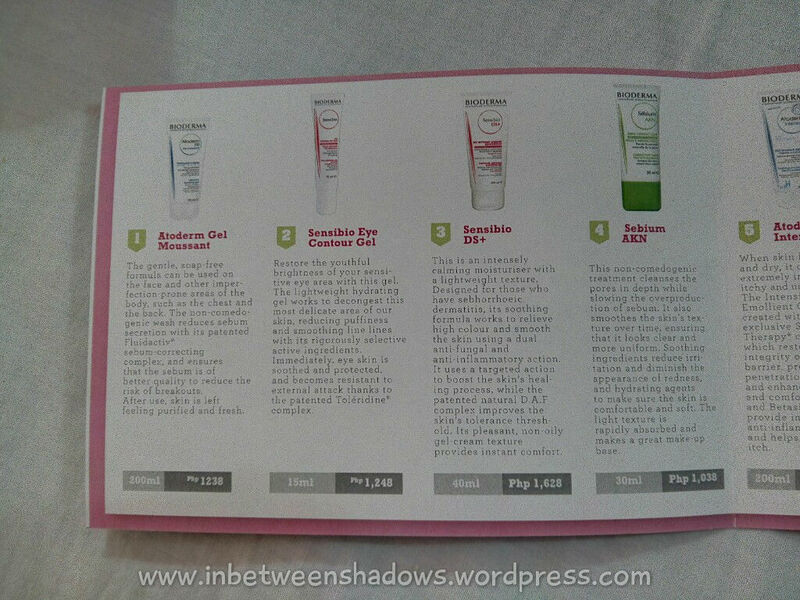 so true sis… it was like “oh, Bioderma did not give us any full-sized samples at all… we should do something to make subscribers less angry”… ayun na… they got the lip & cheek stain… which I like but it’s a Bioderma exclusive box so it’s weird that the only full-sized item is not even Bioderma.